Some Common Reasons Behind Relationship Issues. Let's try to understand each point clearly. Lack of Feminine Energy - I am totally aware that I need to explain this point in great detail else I can be totally misunderstood and may even be called male chauvinist. So, a well-balanced relationship is formed on the balance of masculine and feminine energy. Masculine is an initiative energy and Feminine remains a receptive energy. People who ever had any good relation will understand this that there was balance of both energies in their relationship. Now, it is not necessary that masculine energy has to be with Man and feminine one has to be with Females. It is about energy and not gender. A man can be feminine by nature if he has qualities of nurturing and caring others and likewise a woman can be masculine by nature. Best example I get is from a story of Meera when she was stopped to enter into temple of Krishna as the Priest there was himself a big devotee of Krishna and didn't want any woman to enter into temple. Meera only replied that if this Priest is really a devotee then how he can be a man. Devotion is a feminine quality. Even if a man has turned into a devotee, with time he will develop a feminine nature within himself. All Meera wanted to say that a Woman (Priest) is already inside the temple then why I can't enter there. Priest bowed down to Meera and accepted that true devotion is always a feminine quality and as he is devotee of Krishna, he is more feminine then masculine. Now, applying this concept in relationship, we have to accept that Women these days live almost the same lives as Men live. They bear almost the same responsibilities as Men bear. In many cases, they look after both the responsibilities of home and work place. This takes away their feminine quality and this lack of feminine quality is one of the main reason behind relationship problems. Now, here I can be misunderstood. People may think I am against women getting education, working or being financially independent. No, I am not against that. I am the happiest person to see women becoming financial independent, especially in India, because finally now, it is the marriage between two equals. Also, I am very much aware that Woman of this country had to take up this task of being financially independent because of irresponsible nature of man only. We have seen many cases where man ran away from or could not perform his duties and woman had to take up the role of mother and father both. So, it is quite necessary for them to seek financial independence but my focus in this article is on the final impact it is causing on relationship. As woman may be lacking the feminine qualities because of the kind of life they live, the balance of energy is no more in relation. As things will remain as such now going forward, the only way out I see is if man can turn little bit feminine in nature and develop qualities of understanding, accommodating, receptiveness, devoting, caring and nurturing then energy can be balanced. It is common sense that if women are forced to shed away their feminine qualities then it is for men to balance the situation by taking up some of the feminine qualities. Hope I explained it clearly. Ego Conflicts - And basically Ego Conflicts in relationship is nothing but result of this imbalance of masculine and feminine energy. As both sides are becoming more and more masculine, it is obvious that same energies will collide with each other, hence Ego Conflicts. Again, the only way to avoid such conflicts is to focus more on feminine qualities and feminine nature. If both sides can focus and develop feminine qualities, as stated above, then we can see lesser ego conflicts and better relationships. Criteria for getting into Relation/Marriage - Osho Rajneesh was understood as the person who was against marriage but as I understood Osho, he was only against the criteria on which our society decides about marriage. Osho, may be, was the only person in last century in India to emphasize on Love Marriage. He said that marriage should take birth out of love only. In India, we are trying to do something opposite by expecting love to take birth after marriage. If mutual love is there then there is a possibility that couple will adjust with each other due to emotions involved but if marriage is done on different criteria then it will only survive in the eyes of society and for namesake. Osho even said that if you don't find love then it is better not to marry rather than marrying for namesake. Even astrologically, 5th house of love comes first and then 7th house of marriage comes. So even Astrology supports Love before getting Married. Problem with India is that we have dozens of criteria to get married except love or happiness of couple. We can get married based on beauty, caste, religion, region, language, money, bank balance, social position or fame etc but love marriage is still a taboo. And how dare you think of marrying in different caste or religion? But what we are unable to understand that all the criteria we have are for time being and will motivate you in relation till the time you get married. Like, if you get married due to beauty or financial security (2 most common reasons) then you got it as you got married. Now, what is the motivation of carrying the relation? How long same person or same bank balance will attract you? This is something for all of us to think about. India needs serious marriage reforms. Though out of topic but marriage reforms also include divorce reforms. India needs to accept divorce as it accepted marriage. They are opposite poles of the same concept named Relationship. Divorce should not be a stigma. One should not be forced to carry a dead relation just for namesake or social expectations. Unimaginable Expectations - This is a reason which we all are aware of. Expectations from both sides are unimaginable and when couple are unable to fulfill those expectations, the relationship is bound to go sour. Somewhere we have to be realistic/practical in expectations. We can't be dreamy about these things. Right now, during marriage consultations, it seems that both sides are just looking for other side to bring every happiness in their life. If everyone is seeking then who is going to fulfill? If everyone is demanding then who is going to provide? Property Dispute - It may sound childish to many but since my teenage days only I have seen relationship conflicts just akin to a Property Dispute. This is especially relevant in Indian context where it is not marriage of 2 individuals but 2 families. In western societies, once you are married or in live-in relation, you can start your own life separately from your parents but not in India. Whenever relationship conflicts happen because of in-laws, I have felt that it is more a property dispute. Such people see their Child more as their own Property. They feel that they have invested so much in this child for 25-30 years and it is time to get the returns but now suddenly spouse has come into life and claiming share in returns. It can be seen from both sides of family. We say that Mother's love towards child is most unselfish but even Mother's love proves to be selfish when it comes to sharing her Son's love & attention with another woman (daughter-in-law). This is where it becomes hard for them to share their right with others. This is where I feel that in India, relationship conflicts are more property disputes. I don't mind if people feel offended by my choice of words or this analogy. Social Conditions - And of course, as Marriage remains a social institution, social conditions will have the last say as to what can cause conflict between couple and may create relationship crisis. Something may be too important in western society but it may lose all its values in Indian Culture. 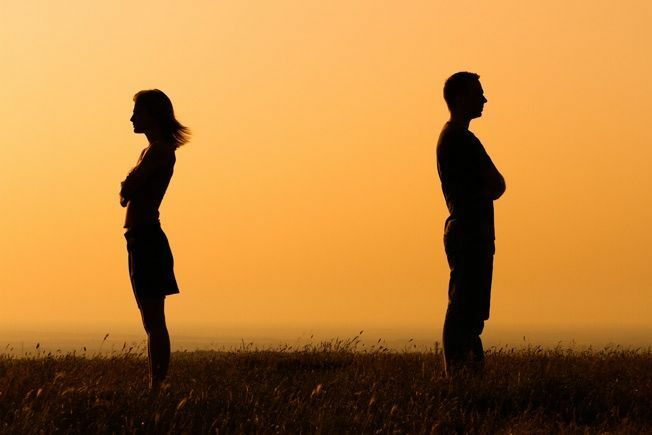 Like, pre-marital relations are common in western society and may not cause any conflict between married couple but it can even be ground for divorce in India. So, it is all a social game. Conclusion - So, these are some common reasons why relations/marriage can become stressful. I am sure that there are many more. Please feel free to comment your views. A Persons likes and dislikes changes day by day and per situation as well. It does not matter if its love or arranged marriage (But some affection should be there for marriage), I think it depends only on persons maturity level and ability to handle situation and find solution. Also I strongly believe if planets have support then we can save relation. Still dont understand that why all these? Excellent article. You have highlighted all the important points that impact relationships. well put..we are losing the essence and the beauty of sacred institution of marriage,relationships day by day.